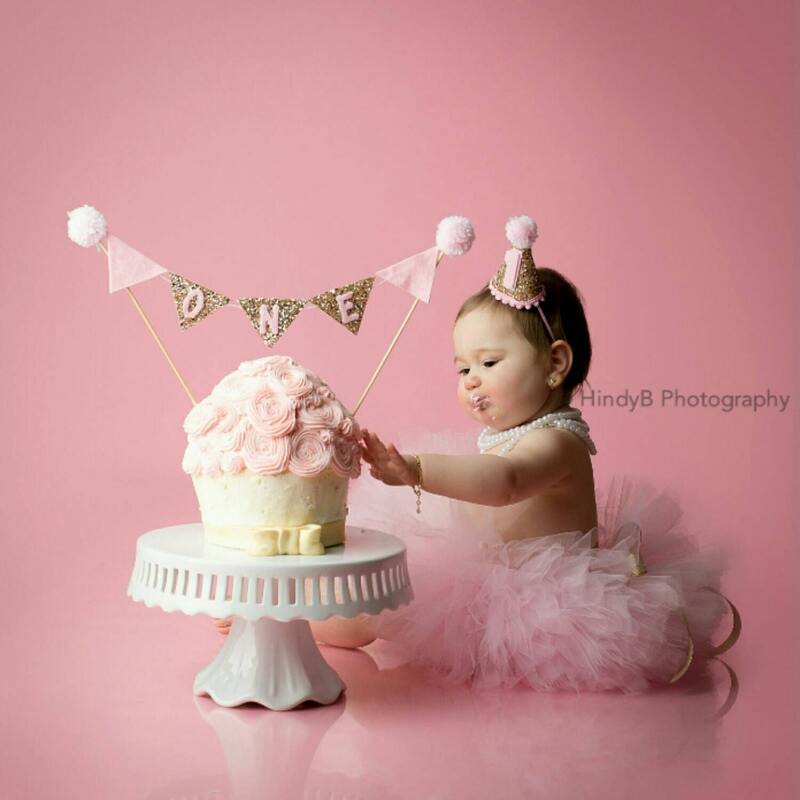 Set shown with crown and cake banner, both can be purchased separately. Just select from drop down. 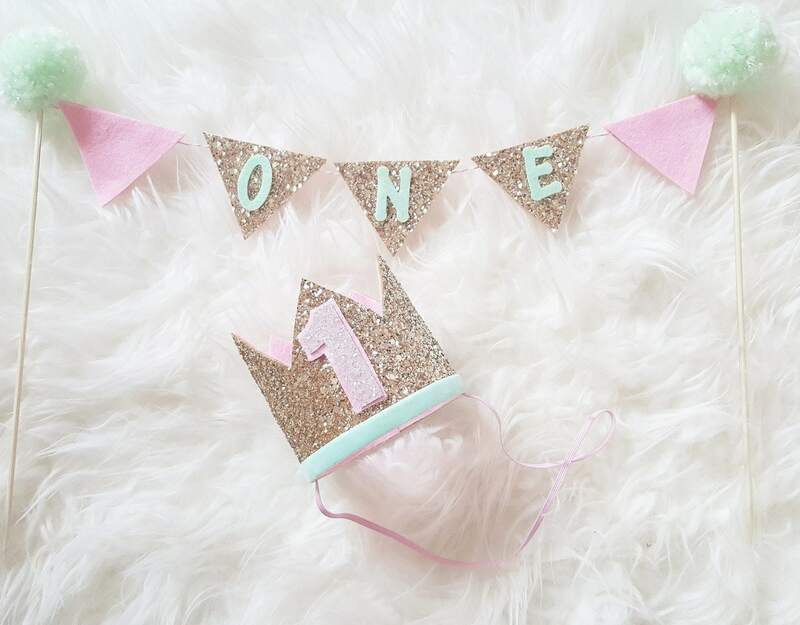 Our cute Cake Bunting shown in baby pink and mint felt and pale Metallic Gold Glittery fabric shown with "ONE"..can also be made with "TWO" please leave a note if you would like a different number added. Crown measures 3" × 3"
Even better in person! Great quality and fast shipping. I can't wait to use it for my daughters birthday. Thank you!